This combine of steelier bangles is certain to mesmerize onlookers with its distinctive double design. 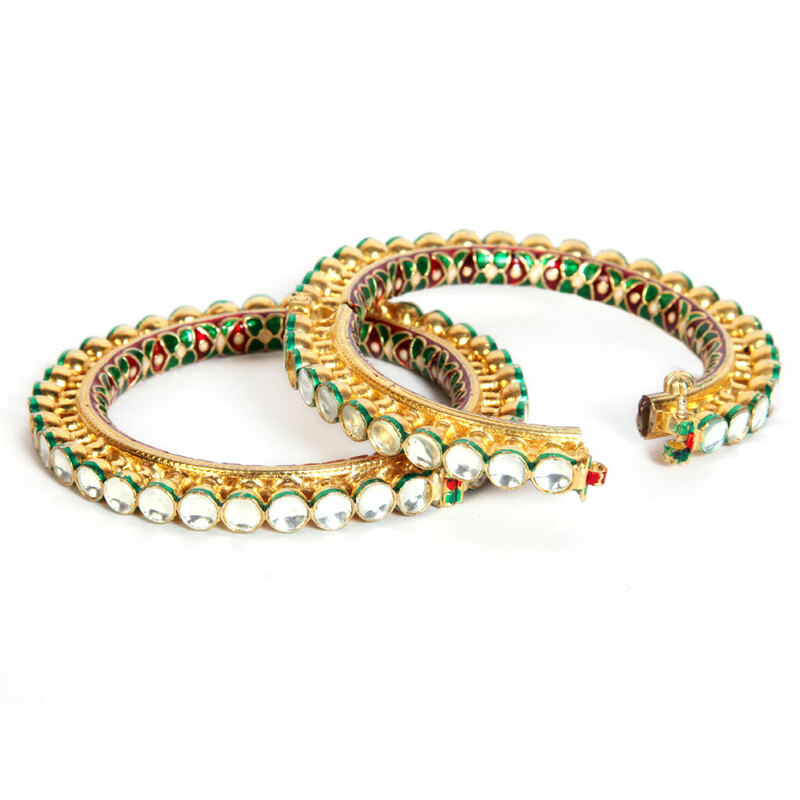 This pair of designer bangles is sure to mesmerize onlookers with its unique double design. 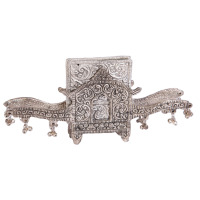 While the bangles feature exquisite minakari work on the underside Read More..of the gold plated brass metal base, they also display magnificent stonework on the outer circumference, with each stone having been placed on a metal stand. Show Less..